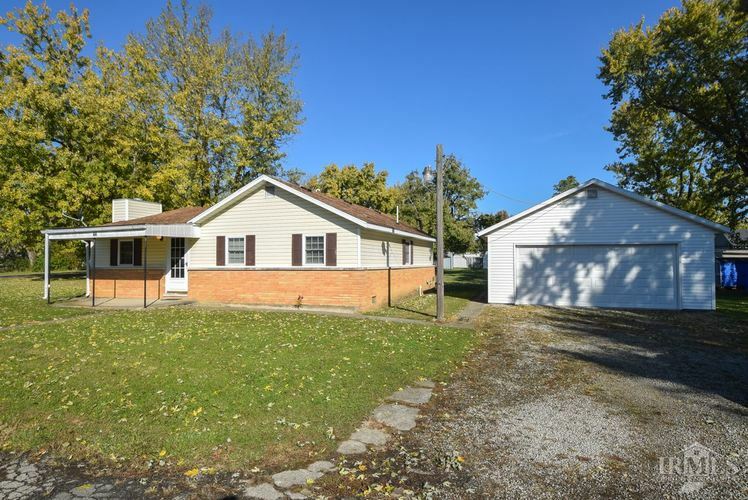 Checkout this low maintenance 3 bedroom 1 bath home located on 2 lots in Mayfield! This move-in ready home has lots of extras with an enclosed sun porch (excellent to sit out on), covered patio, oversized 2 car garage w/ attic storage via pull down stairs. The living room includes a fireplace (flue currently closed), Natural gas wall heater alternative heat great if power is out, Attic fan is currently sealed but could be used for cooling in addition to central air system. The kitchen includes a walk-in kitchen pantry. Some upgrades include: new main water line and new main sewer line 4+- years, newer patio door, newer vinyl replacement windows (easy to clean), new rubber roof over sun porch 2018, main roof 10+- years, newer 95.5% efficient furnace, 40 gallon special order cabinet style electric water heater, newer washer and dryer (washer may not work properly with heavy loads). All appliances will remain but not guaranteed. Checkout the 3D Virtual tour and call to schedule your private showing today! Directions:Jackton to Bennett, North to home.